Ms. Diane Wang is the Founder and CEO of DHgate.com. Founded in 2004, DHgate.com is the 1st cross-border B2B e-commerce platform in China, dedicated to connecting SME suppliers to global buyers. Over a decade of development, DHgate has over 6.2 million global buyers from 224 countries and regions, with 1.2 million Chinese sellers offering 30+ million product listings. Before DHgate, Diane co-founded Joyo.com, and served as the CEO in 1999. Joyo.com became the largest B2C marketplace in China, and was acquired by Amazon China in 2004. Prior to that, Diane held senior management positions at Microsoft and Cisco respectively. 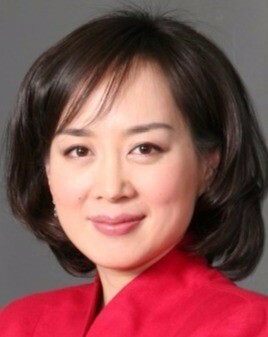 Diane received numerous awards in China, including "China Top 10 IT Influential Leaders" in 2010 and "Top 25 Influencing Figures for China Economy" by Business Weekly in 2009, and has always been very supportive and engaged in voluntary activities relating to the development of women, young entr epreneurs, and SMEs. In 2011, Diane was appointed as the alternate member of China on ABAC. In January 2015, Diane became the member of China on ABAC, as well as the member of China on B20, to continuously contribute to the career of empowering SMEs to access international markets and Internet finance through e-Commerce.